"Tried hitting the gym, preferred hitting the ball." Enriching the lives of young people by creating experiences that inspire a lifelong love of golf. Free for Cromwell Golf Club Junior Members! The golf course is situated in the heart of the fastest growing wine region in the country and in the centre of the Central Otago fruit industry. Cromwell's unique micro-climate means that the sky is clear and the course open for play when others in the area are closed. Established in 1903 the Cromwell golf course has received acclaim as the best inland links course in New Zealand. An upgrade completed in 2009 has created a fantastic golf experience from tee to green. Cromwell's low rainfall, 2200 hours of sunshine per year and sand based fairways combine to guarantee year round dry underfoot conditions with firm fairways and greens. The course is intended to be enjoyable for players of all ability levels with opportunity to reach the greens surrounds comfortably, then to be challenged by more difficult approach shots and greens play. Hi! I would like to register my interest. Your interest has been sent to the club. We will be in touch soon.  Keep in the loop with LOVE Golf events, stories, deals and more!